Arbitration is a form of “alternative dispute resolution” sometimes referred to as (ADR), which is a technique for the resolution of disputes outside the courts. The parties to a dispute refer the matter to arbitration for decision by one or more persons (the “arbitrators”, “arbiters” or “arbitral tribunal”), and agree to be bound by the arbitration decision (the “award”). Arbitrators may be retired trial judges or experienced attorneys with certain specialized expertise. A third party reviews the evidence in the case and imposes a decision that is legally binding on both sides and enforceable in the courts. Sometimes, the parties may seek court approval of the arbitration decision so that the judgment can be enforced by the parties by use of the court system. Arbitration is often used for the resolution of commercial disputes, particularly in the context of international commercial transactions. 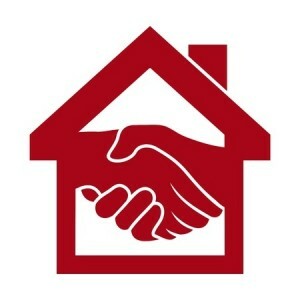 Arbitration is frequently used in real estate transactions or to decide commission disputes between real estate agents. In certain countries such as the United States, arbitration is also frequently employed in consumer disputes and employment matters, where arbitration may be mandated by the terms of employment or consumer contracts. Arbitration can be either voluntary or mandatory (although mandatory arbitration is generally mandated by a statute or by a contract that is voluntarily entered into, in which the parties agree to hold all existing or future disputes to arbitration, without necessarily knowing, specifically, what disputes will ever occur), and can be either binding or non-binding. Sometimes parties are forced to choose arbitration when signing a contract- consider an automobile finance contract- you either agree to arbitration with the finance company or you don’t get the financing. Non-binding arbitration is similar to mediation in that a decision cannot be imposed on the parties. However, the principal distinction is that whereas a mediator will try to help the parties find a middle ground on which to compromise and settle, the (non-binding) arbitrator remains totally removed from the settlement process and will only give a determination of liability and, if appropriate, an indication of the quantum of damages payable. By one definition arbitration is binding, and non-binding arbitration is therefore technically not formal arbitration. By one school of thought, if you are going to pay for the cost of arbitration, why not make it binding and final- so the dispute is decided and its over! Arbitration is a proceeding in which a dispute is resolved by an impartial adjudicator whose decision the parties to the dispute have agreed, or legislation has decreed, will be final and binding. There are limited rights of review and appeal of arbitration awards. Sometimes the arbitration agreements will force parties to totally waive appeal rights. I am not a huge fan of arbitration, but one of the advantages of the arbitration process is that you can hire an arbitrator who will apply and dedicate the time, resources and expertise to decide the matter. The arbitrator is not being consumed by a 15 calendar caseload in the morning, and trials to be done in the afternoon. Large corporations prefer arbitration because they believe that arbitrators will be more conservative in their rulings, unlike progressive judges or run away jurors. Large corporations want to keep issues away from juries. One of the disadvantages of the arbitration route is the high cost of an arbitrator- which can be between $ 500.00 and $ 1000.00 per hour. But for the right type of case, an arbitrator may be the best type of judge to decide the dispute. THE BEACON OF HOPE AND LIGHT- THE MANDATORY SETTLEMENT CONFERENCE PROGRAM AT THE STANLEY MOSK COURTHOUSE PRESENTS A GREAT OPPORTUNITY AND PLATFORM FOR PARTIES TO SETTLE CASES. Due to budget cuts, many smaller courthouses, like Torrance and Santa Monica superior courts, have cut their staff for referring parties to a free mediation settlement programs. Some of the mediation referral offices in many smaller courthouses are “closed,” and parties don’t have access to a panel of free mediators. Parties can hire private mediators if they are motivated to complete private mediation, and are willing to absorb and share the cost. One of the beneficial components about the Stanley Mosk Courthouse is that the courthouse has a department devoted to completing settlement conferences and settling cases- Department 18 is the department of Judge Helen Bendix, and she runs the mandatory settlement conference program in order to get cases settled. Even before deciding an important law and motion matter or a trial, the Court can suggest for the parties to try to settle the issue or the entire case and may refer the matter to Department 18 for a mandatory settlement conference. I have used the Mandatory Settlement Conference Program in many cases, and the program works well to settle cases. The Los Angeles Superior Court’s Mandatory Settlement Conference (MSC) program is free of charge and staffed by experienced sitting civil judges, who devote their time exclusively to presiding over MSCs. The judges participating in the judicial MSC program and their locations are identified in the List of Settlement Officers on the court’s website. LASuperiorCourt.org. The website is a very useful source of information, and dockets for cases are online in the “case summary” section. The dockets are not updated every day but eventually are updated. If you participated in private mediation, the parties would pay the private mediator an expensive hourly rate. The judges in the MSC program located in the Stanley Mosk Courthouse are employees of the Court and the parties only have to pay for their own attorney time- this is a great deal and value!! This program is available in general jurisdiction cases with represented parties from the independent calendar (IC) and Central Civil West (CCW) courtrooms. In addition, on an ad hoc basis, personal injury cases may be referred to the program on the eve of trial by the personal injury courts in the Stanley Mosk Courthouse or the asbestos master calendar court in CCW. In order to access the Judicial MSC Program the IC, CCW, or PI courtroom must refer the parties to the program, the parties must complete the information requested in the Settlement Conference Intake Form and email that completed form to mscdept18@lacourt.org. If the parties have a preference for a particular MSC judge, they should so indicate on the intake form. CONCLUSION- GOING TO COURT IS NOT THAT BAD OR IS IT!! I hope this white paper provides transparent insight and unlocks the mystery of how judges actually decide pre-trial issues in downtown Los Angeles Superior Court- which is a rough and tumble environment. Most judges perform a thorough analysis, want to get it right the first time, and want to do justice. Judges don’t want to get reversed on appeal, or be the subject of a written complaint of a party or an attorney to the Judicial Council of California or the Presiding Judge. Most judges will not sanction parties or attorneys for a first time violation of rules and will encourage and enforce compliance with rules with an air of compassion. Judges are human beings and may be persuaded or charmed by attractive attorneys or celebrity parties and their attorneys, and may curry favor to institutional parties such as banks, insurance companies, and large law firms whose clients can afford to appeal. This is especially true in Los Angeles- where celebrities are frequently in court fighting over business issues or divorce issues. Judges want the parties and their attorneys to walk out of the courtroom with a core belief that all sides had the time and space to present their cause in the motion papers and in oral argument, that the papers were read and considered carefully, that the latest law was applied to the facts of the case, that the law was followed, public policy concerns were addressed, that the attorneys were dealt with respect and courtesy, and nobody was railroaded through the system. Alternatively, if the Stanley Mosk Building is not the right forum for your case, you can always do arbitration if your opponent agrees, and if you can afford to rent a judge.